We all eat to live, but sound food policy can help restore tribal culture and improve the health of its members. This premise underlies the “food sovereignty” movement that has been sweeping through American Indian and Native Hawaiian communities for the past few years. Community-based organizations are waging this fight through local and regional food networks. The First Nations Development Institute and the Wallace Center at Winrock International are supporting a number of tribal initiatives. 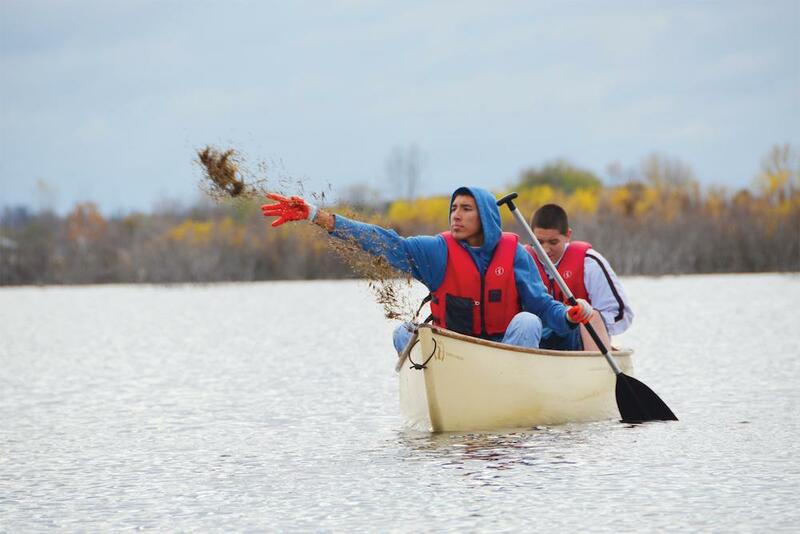 First Nations has a longtime programming and grantmaking effort called the Native Agriculture and Food Systems Initiative, or NAFSI, underway since 2002. Here are some prime examples of community projects. Most of the lands of the 5,000-member Quapaw Tribe sit on the Tar Creek Superfund site, former home to lead and zinc mining. The chat piles left behind have contaminated groundwater, pond, river and soil, causing many health problems for local residents. The tribe has used a clean-up grant from the Environmental Protection Agency to form the Quapaw Services Authority (QSA), a tribal authority to oversee site restoration. It is mending the soil, fixing the property for drainage and creating ponds to turn it into something more useful, according to a recent interview with Business Committee Chairman John Berrey. While the federal government frowns upon re-inhabiting some areas, it does allow agriculture. Of the 5,000 acres managed by the tribe, 2,000 acres are cropland. Bison and cattle herds graze on the remainder. 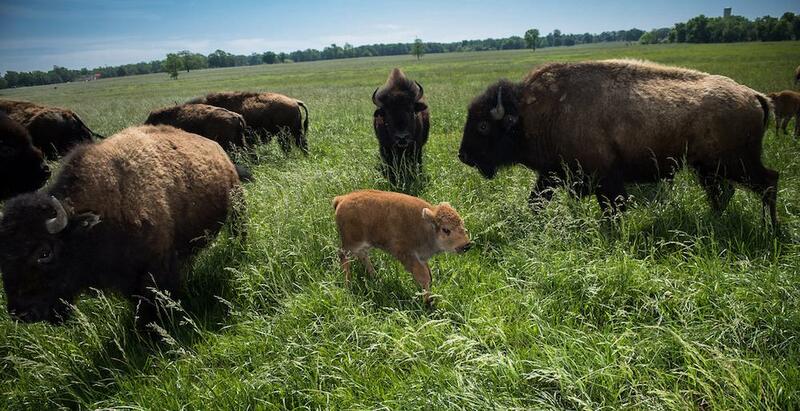 With the formation of QSA, the tribe has expanded its businesses from construction and hospitality to ranching beef and bison, operating five greenhouses and a coffee roasting plant and recently building a multimillion-dollar USDA inspected bison and beef processing plant. The tribe uses these locally raised and processed beef and bison meat products to supply its casino and hotel restaurants as well as convenience stores. The greenhouses operate year-round and produce the ornamentals or decorative plants used for the casinos and hotels. The bulk of their vegetables (cucumbers, tomatoes and microgreens), herbs and spices go to their restaurants. Greenhouse manager Gilbert Johnston said they also keep 70 beehives for honey production, with plans to expand to 100. According to Quapaw tribal member Mitch Albright, the tribe donates about 20,000 pounds of meat per year to the local schools, elder and daycare centers to provide the protein that these facilities are unable to. Since the premium cuts of meat go to the restaurants, the tribe sometimes has a hard time selling the middle meat, and has begun to process the excess into beef sticks and beef jerky sold in its convenience stores. The Quapaw Tribe recently purchased a commercial coffee roaster to begin providing coffee products for the casinos, Quapaw tribal offices and the Quapaw Cattle Company. Roasting and blend development by Alberto Baez, barista, has created many different blends that can be customized for individual clients. Baez states that they use 100 percent Arabica beans from a number of sources and strive to source from Indigenous groups. Quapaw Tribe offers tours of their facilities Monday to Friday, 7 a.m. to 4 p.m. To schedule a tour, please contact Mitch Albright at malbright@quapawservices.com. 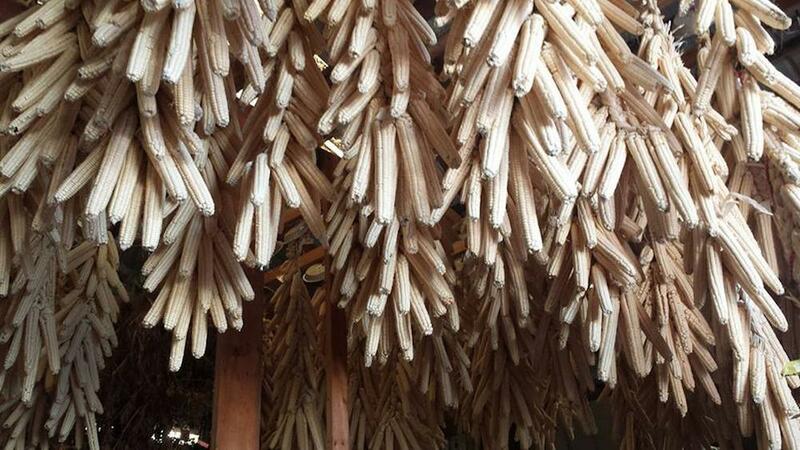 Preservation of their white heirloom corn is a major goal of the Oneida Nation in Wisconsin. This tribe has more than 17,000 members, of whom around 3,100 live on or near the reservation in northeast Wisconsin west of Green Bay. In addition to beef and bison ranching, they manage an apple orchard, cornfields, two hotels and casinos, an LPGA golf course and country club, and the Oneida Market and One Stop. The latter is a combination gas station/convenience store where the tribe sells locally grown produce and meat products. Oneida Nation has hosted food sovereignty conferences for the past several years, giving other tribes a forum for sharing their experience with locally grown produce. It also sponsors agritourism events such as an annual Husking Bee and Apple Fest. In the Husking Bee, community and youth come together to help with the traditional ways of harvesting, thus strengthening cultural ties. 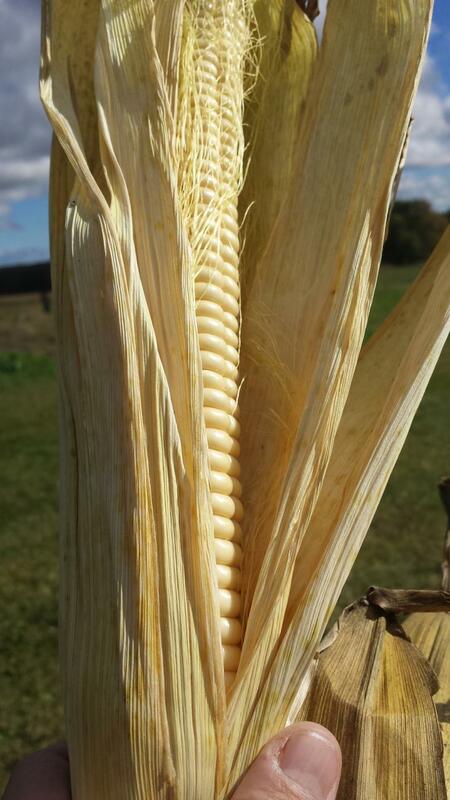 Participants learn how to harvest the corn, braid it to dry and practice seed-saving techniques. 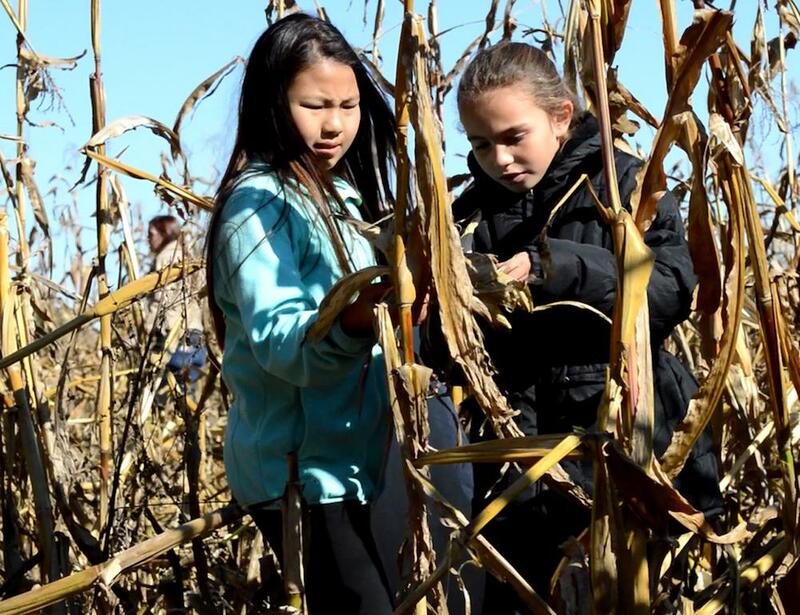 Held in mid-September, the Apple Fest serves as a pick-your-own experience and also as a free community event that offers family fun, including pony rides, food tasting and a pie contest. For more information, please contact the Oneida Nation at: oneida-nsn.gov. While we associate pictures of palm trees and sandy beaches with Hawai‘i, food insecurity, poverty and lack of opportunities for youth are a reality for its Native population. Kukui and Gary Maunakea-Forth sought to address this challenge after they finished graduate school in 1999 and went to work as project managers for MA‘O Organic Farms, sponsored by the nonprofit Wai‘anae Community Re-Development Corporation located in rural Wai‘anae on the west side of O‘ahu. They noted the high dropout rate for Native Hawaiian youth and the lack of a path to college for many. Through grants from the U.S. Department of Agriculture and Department of Health and Human Services, they were able to lease five acres. They produced 5,000 pounds of food in their first year. 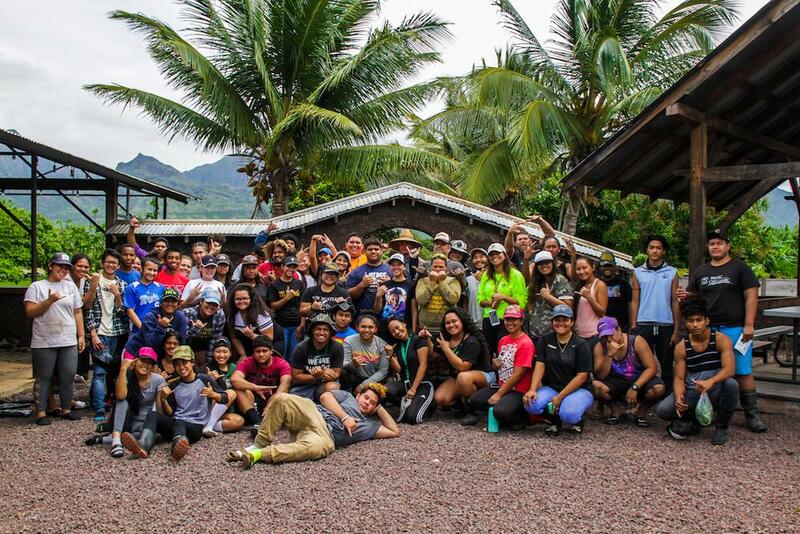 Working with a respected Kupuna (elder) in the community, they embraced his mantra of “love, respect and the willingness to work.” They focussed on students to create an “edu-preneurial environment” – one in which they use incentivized methods to teach basic employment skills, work ethic and systems to ensure the youth succeed. Today they offer 50 paid college internships and farm 24 acres of organically certified land that produce nearly 200,000 pounds of fruits and vegetables! For more information, please contact Kukui and Gary Maunakea-Forth at info@maorganicfarms.org. These are only a few examples of the food movement in Native communities. For more information, including how a tribe or tribal non-profit can get involved and start its own local project, please contact First Nations Development Institute at info@firstnations. org or the Wallace Center at Winrock International at wallace@winrock.org. Also, check out any of the Wallace Center’s food webinars through its National Good Food Network at ngfn.org/resources. It notes that Indian Country drew 1.9 million overseas visitors in 2016, a 180 percent increase since 2007, and that foreign visits to Indian Country held steady last year, when visits to the U.S. as a whole dropped slightly. It offers training and support to tourism efforts, and its website, NativeAmerica.travel, offers tribes and Native-owned tourism businesses international marketing opportunities at no cost. Film still from Gather, featuring traditional means of preparing salmon over open fire. 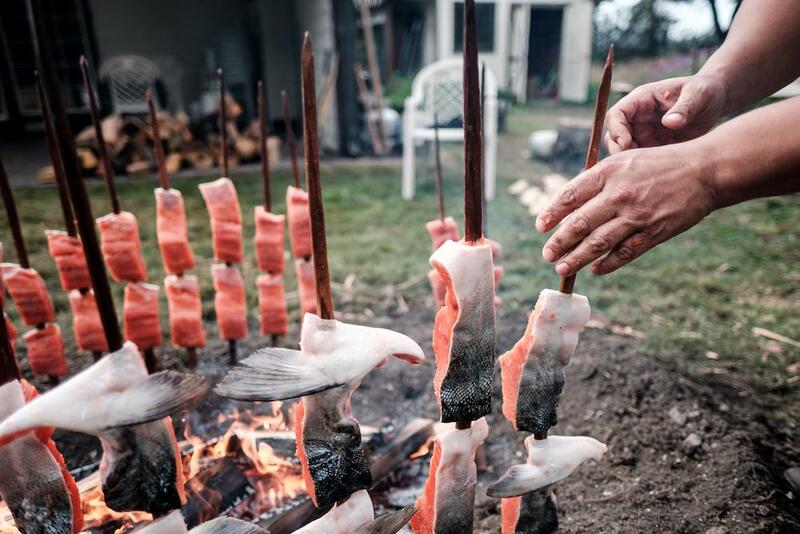 Sammy Gensaw (Yurok) prepares salmon for smoking on wooden stakes. Photo by Renan Ozturk. The well-known culinary artist was referring to efforts that Native communities are actively pursuing in order to reclaim their traditional foods, diets and systems – as well as to return to traditional nutrition and wellbeing – which is broadly called the “Native food movement.” This earnest rebuilding comes after hundreds of years of colonialism that sought to supplant America’s original inhabitants through many means, including the eradication of their well-established food and agriculture systems. A new feature-length documentary film titled Gather focuses on this growing Native food sovereignty movement. It will premiere in early 2019 at a major film festival and will be released theatrically in the United States and possibly elsewhere. First Nations Development Institute (First Nations) is involved in the production, aligning the film with its First Nations’ Native Agriculture and Food Systems Initiative. The film features many NAFSI grantees and partners, as well as others who are making strides in advancing Native food sovereignty as a way of asserting tribal sovereignty, reclaiming control of Native food systems and helping restore the health and well-being of Native communities. To learn more, visit http://gather.film. Carolyn J. McClellan (Cherokee Nation) is the assistant director for programs at the National Museum of the American Indian.